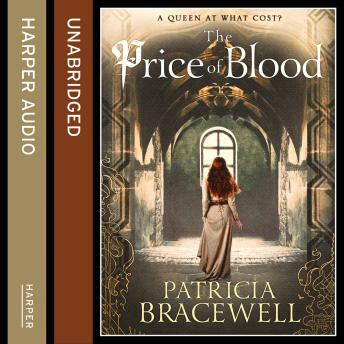 The second book in Bracewell's outstanding Emma of Normandy series, set in 11-century England, when Vikings are on the brink of invasion. 1006 AD. Queen Emma, the Norman bride of England's King Æthelred, has given birth to a son. Now her place as second wife to the king is safe and Edward marked as heir to the throne. But the royal bed is a cold place and the court a setting for betrayal and violence, as the ageing king struggles to retain his power over the realm. Emma can trust no one, not even the king's eldest son Athelstan, the man she truly loves. Elsewhere Viking threats to the crown are gaining strength, and in the north the powerful nobleman Ælfhelm is striking an alliance with the Danes. His seductive daughter Elgiva, former mistress to the king, is forced to act as a pawn in his plan, and is given as wife to a Viking Lord. Can King Æthelred finally listen to Athelstan, whose plan to strengthen the kingdoms' ties will put off the Viking threat once and for all? Emma must protect her only child without abandoning her noble position. And her inner conflict, between maternal instinct and royal duty, will be played out against the dramatic and bloody struggle for Britain's rule.